This white porcelain cup and saucer is a great gift - especially for someone you care about. 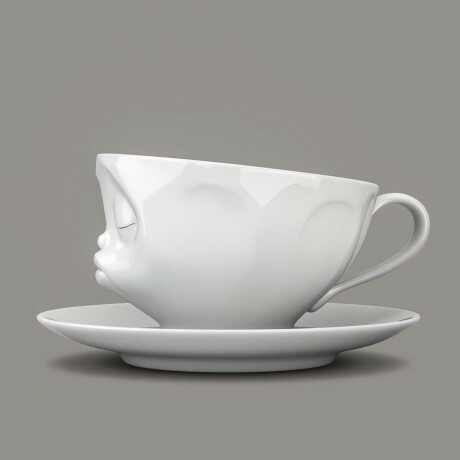 They will be blown a kiss every day with their morning coffee with this wonderful 'Kissing' expression cup. If you want to make it an extra special gift then add your favourite chocolate or snazzy biscuits. This German made range of white porcelain adds a bit of fun to our life. The kissing cup has lots of friends and they would love to join your collection to bring a bit of fun (and plenty of talking points) to your table.